Earlier this year we announced our support of a symposium to commemorate the publication of Emile Durkheim’s The Elementary Forms of Religious Life hosted by Flinders University. The event went ahead last Friday and was a great success. The Cultural Sociology Group congratulates UNE postgrad student Dennis Foster who received a scholarship to attend the event. Cultural Sociology group member Eduardo de la Fuente provided this review of the symposium. The School of Social and Policy Studies, Flinders, in conjunction with the Australian Sociological Association and the French Embassy of Australia sponsored a one-day symposium on Friday the 21st of September, 2012, to commemorate the publication of Emile Durkheim’s The Elementary Forms of Religious Life. First published 100 years ago, the book pioneered the sociological and anthropological study of the ‘sacred’. Interestingly, the data for this social science ‘classic’ was derived from ethnographic accounts of Australian Aborigines, including groups around Adelaide, Encounter Bay and parts of Central Australia. So it was very fitting – as more than one speaker noted – for Flinders to have hosted such a celebration of this important book. The symposium was convened by Drs Suzi Adams and Eduardo de la Fuente from Sociology, Flinders; and Mr Tristan Kennedy, PhD candidate in Sociology, was project officer for the event. It was attended by 45 participants and included keynote addresses from Dr Natalie Doyle, European Studies, Monash University; and Associate Professor John Rundell, Director of the Ashworth Centre, University of Melbourne. The speakers included interstate scholars such as Professor Alan Scott, Sociology, University of New England and Dr David Holmes of Communications and Media Studies, Monash; one News Limited journalist; Dr Brad West of UniSA (formerly of Flinders) and, in addition to the convenors, Dr Crag Matheson from Politics, Flinders. 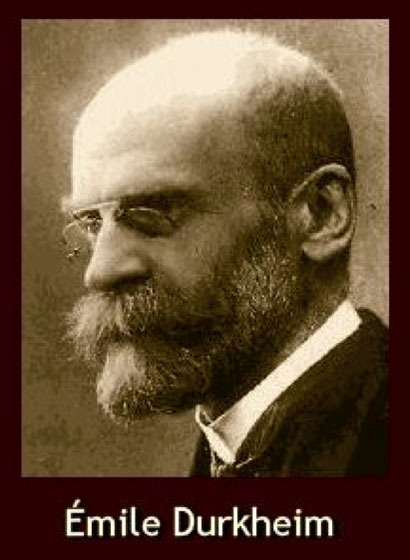 The papers all drew on Durkheim’s seminal text but covered topics as diverse as Islam and debates about secularization in France; rituals in the organizational life of the Australian Public Service; contemporary pilgrimages to Gallipoli; debates about the whether the modern state constituted a type of political sacred; religious experience amongst Australian Pentecostals; the role of the senses in what Durkheim termed ‘collective effervescence’; and assessments of whether thinkers such as Charles Taylor, Cornelius Castoriadis or Jean Baudrillard (author of the infamous tract, The Gulf War Did Not Take Place) were the rightful heirs to Durkheim’s thinking about the enduring significance of the sacred in contemporary societies. A special issue of a journal is planned from the papers. This will be published in either late 2013 or early 2014. A sequel is to be held at the University of Melbourne and will be hosted by the Ashworth Centre. This event will also involve a discussion of a well-known social science ‘classic’ and will use the Flinders event as its model. Eduardo de la Fuente is Lecturer in Sociology in the Faculty of Social and Behavioural Sciences at Flinders University. Identifying cultural groups. Much early research on culture assumed that the boundaries of cultural groups are homologous with sociodemographic categories (e.g., ethnicity, race, class, gender) or institutional units (e.g., cities, nation-states, civilizations). While this perspective has been successfully challenged, comparison in the absence of discrete cultural units is not possible. Addressing the problem of group boundedness in comparative research requires theoretical and methodological solutions; hence, we welcome papers that rely on both innovative and theoretically motivated empirical strategies. Culture in context. Based on the insight that meaning is dependent on context—and therefore often unstable—some scholars have sought to treat situations rather than cultural groups as primary units of comparison. Though theoretically promising, this approach poses challenges for empirical generalization. Submissions that take the contextuality of meaning seriously while striving to make claims about the broader patterning of cultural phenomena will be given special attention. Comparison and causality. One of the purposes of comparison is to isolate causal relationships; at the same time, causality has become a topic of growing interest among cultural sociologists. We welcome papers that leverage comparative methods to demonstrate the causal power of cultural phenomena in a variety of social domains. Cultural change. Many comparative studies treat their units of analysis synchronically; yet, the degree to which cultural phenomena are stable is an empirical question. Papers that explicitly investigate cultural change (and/or cultural stability) by simultaneously comparing across units and over time are of particular interest to us, as are papers that consider dynamic social processes where meaning-making is central (e.g., commensuration, evaluation, standardization, identification, etc.). Cultural repertoires. The concept of cultural repertoires has been particularly generative for comparative cultural sociology. How can we move toward greater specificity and complexity in its use? How can we better conceptualize the intersection between repertoires and unfolding social practices? To submit an abstract, please visit https://cmt.research.microsoft.com/CCS2013. Authors will be notified of the status of their submissions by October 31, 2012; full drafts of accepted papers will be due by March 1, 2013. Participants will be responsible for covering their own expenses, including ESS registration fees. Any questions concerning the conference should be directed to cultureworkshop@fas.harvard.edu. For more information on the ESS Annual Meeting, see http://www.essnet.org/annualmeeting_call.aspx. after receiving some great paper and abstract submissions for the upcoming TASA 2012 conference we are very excited about seeing you all there in only a few months’ time. We are currently working on finalising the program for our stream. Reminder: if you submitted a refereed paper that is to go into the edited conference proceedings you need to send your final formatted version to Mandy Winter at Conference Solutions mandy@con-sol.com by the 22nd October. Like every year we will be holding our annual group meeting on the last day of the TASA conference (29th November). We encourage as many of you as possible to attend as this is one of the rare occasions when we actually get to get together face-to-face to exchange ideas, comments and concerns. One issue we will be raising at the meeting this year will be a call for a new convening team. Nick and Catherine are stepping down from their roles as group conveners and Michael and Theresa are also open to making the way for new members to step into their roles, although happy to help these new members in the background or more substantially in taking over. If anyone would like to flag their interest in a role or find out more about the tasks and responsibilities involved in being part of the team please contact any of the group conveners or bring your questions to our meeting in November.